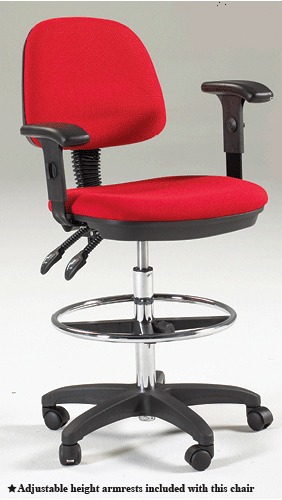 * The Martin Feng Shui Chair is your power chair, designed with excellent lumbar support, and adjusts to fit your body in every way. * Note the adjustable armrests included. * Adjustable 18" chrome foot ring. * Seat adjusts from 25-33.75 inches.